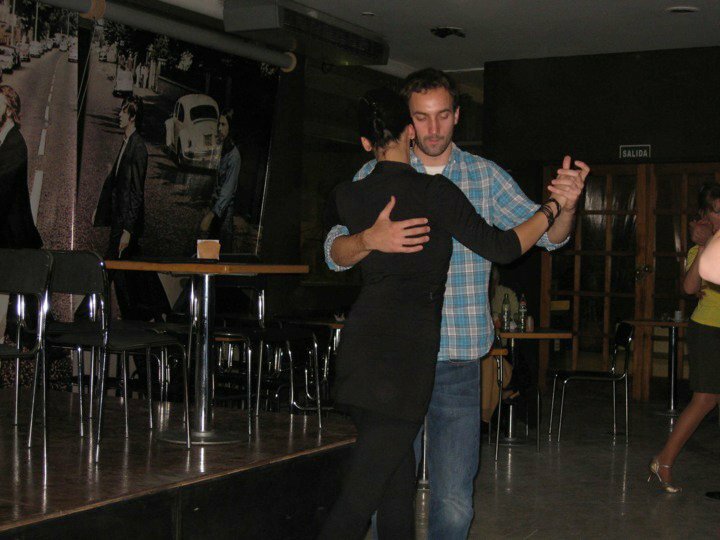 We don’t eat here, just have drinks and dance at the milonga. It’s a more casual milonga than the ones in BA and a younger crowd. Honestly, it’s one of my favorite times dancing this trip because it is so laid back, and people are more willing to dance with us as foreigners. It’s an Argentine buffet inside a double-height building with yellow trim and lots of windows right on Gral Las Heras. 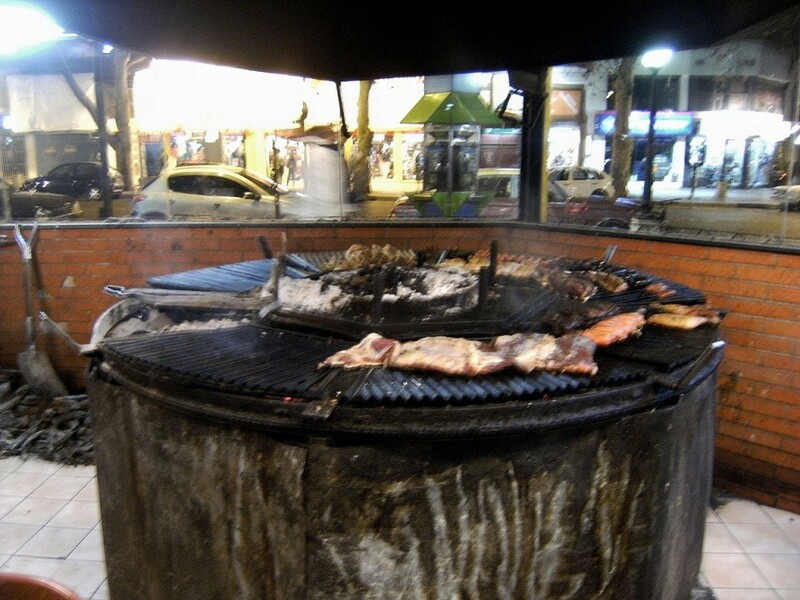 There’s a circular grill you can get different sausages and cuts of meat from. And they have a salad bar, which we load up on because we haven’t seen many vegetables here. Nothing’s fantastic, but if you’re hungry and on a budget, then this is your place. Just don’t go too early. Argentine families with their little kids start rolling in around 10:00pm. We buy most of our wine straight from the bodega, but this is a nice spot to check out local wines. 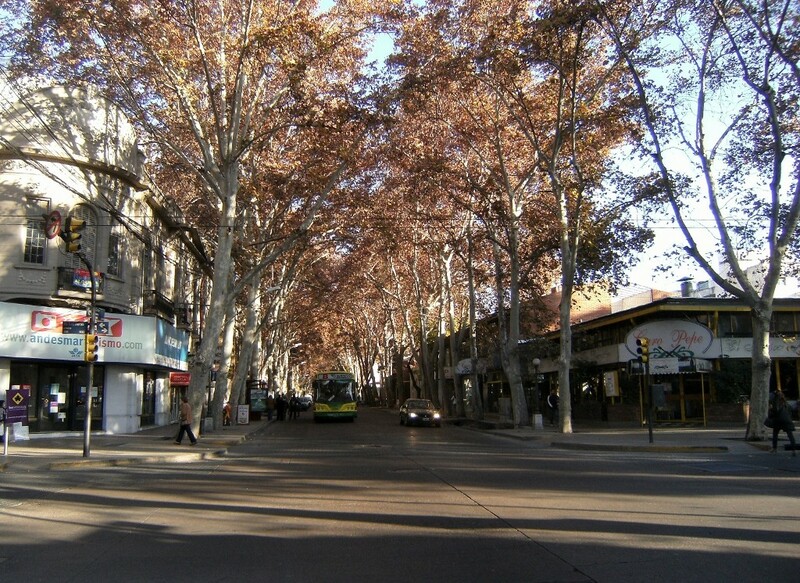 It’s like a quick wine tour of Mendoza. I also have a crush on the girl that works here. I come two nights in a row even though I don’t need more wine. 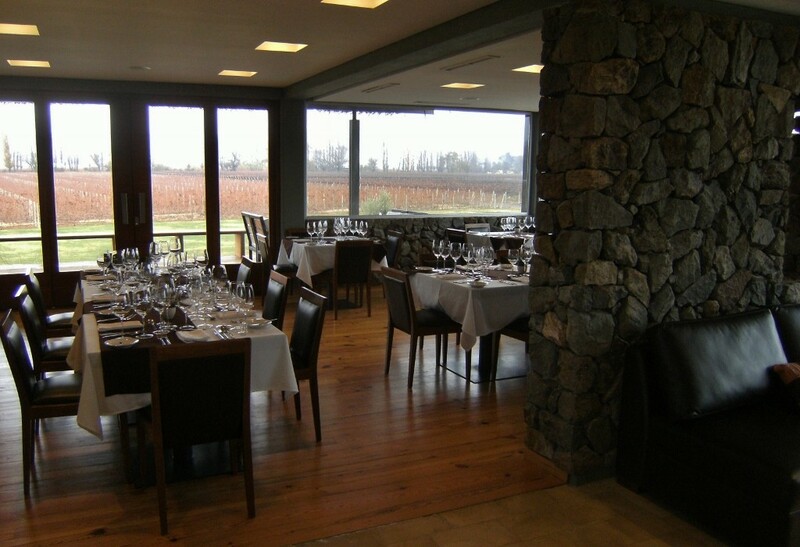 We also check out a place called Winery, which is a wine and spirits store with several locations in Argentina. The white-painted interior extends into a courtyard outlined by columns. We sit at a table facing a shelf of wine bottles. Dinner’s good and served with some potato wedges and a salad. Oh no, el 23 is closed, too..
It’s a wine tour followed by a 5-course wine paired lunch. It lasts 3 hours, but it doesn’t feel like it. Stop in here for some hot tea to wait out the rain. Quaint little place. Like an old house with separate rooms, a three-top bar, hunter green accents, and wood floors. Kitty-corner from Plaza Independencia and across from the theater. Francis Mallmann is one of Argentina’s best chefs. He loves slow cooking meats over an open fire. His Seven Fires cookbook is great, too.